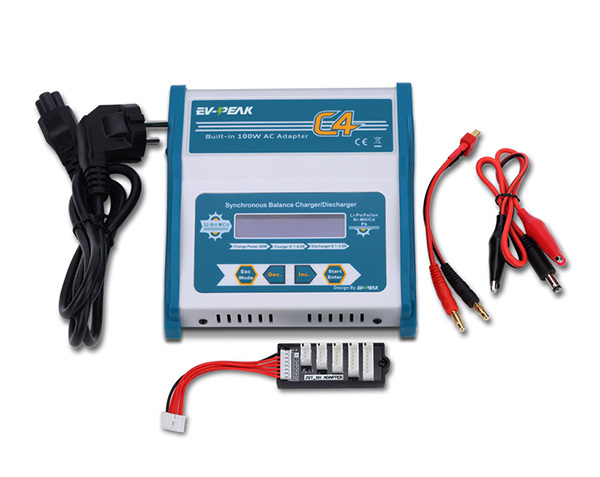 The C4 is compact and travel sized, intelligent battery charger with great features. 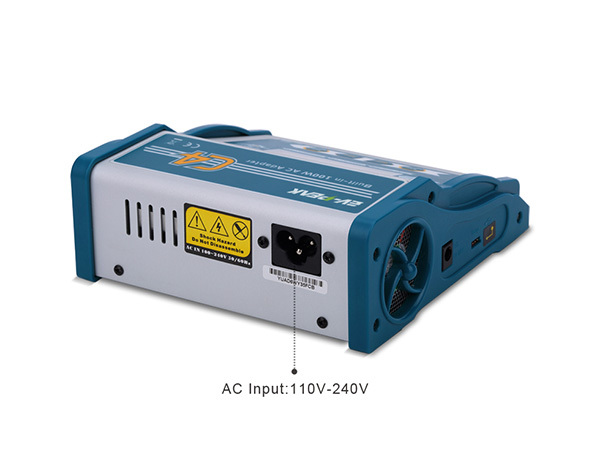 The charger can charge up to 80W (6A) via the AC or DC power cable provided. The back-lit LCD screen makes the simple menu a breeze to navigate all charging / discharging options. 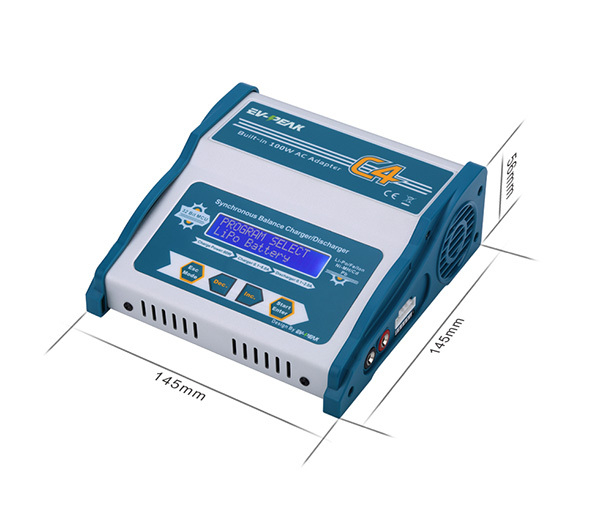 This charger includes a multi-charge cable with many different connectors allowing you to charge just about any battery. 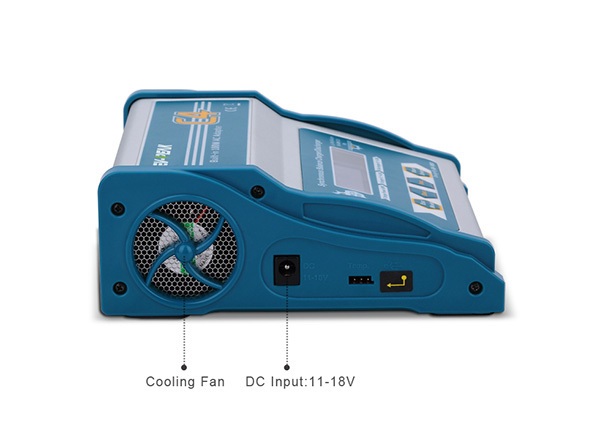 Charge LiIon, LiPo, LiFe 1-6 cells or NiCd, NiMH 1-15 cells with this compact charger. 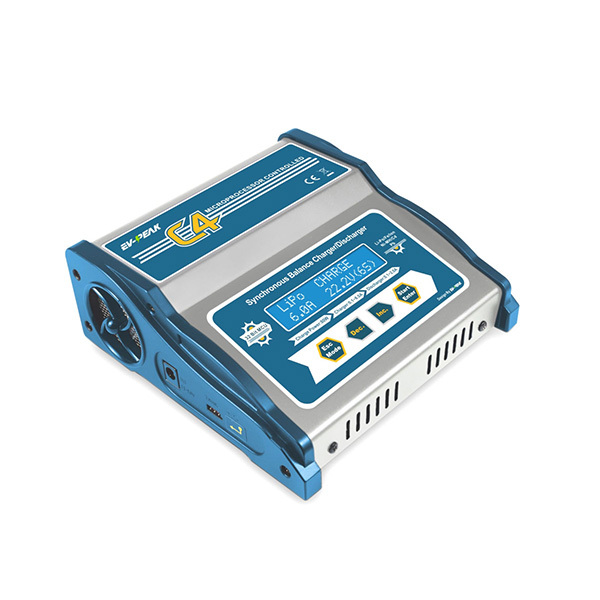 Create a safe charging condition and maximum reduce the danger caused by negligence or setting error of user. Synchronous buck&boost converter technology makes conversion efficiency up to 90%. Accept all typs of RC/Drone batteries: LiPo/LiLo/LiFe/NiMH/NiCd/Pb. Wall plug type: wall plug type may vary from picture.